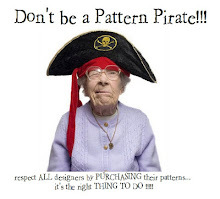 There are 11 new patterns based on the wonderful, wacky, primitive art work of Sonja Sandell. 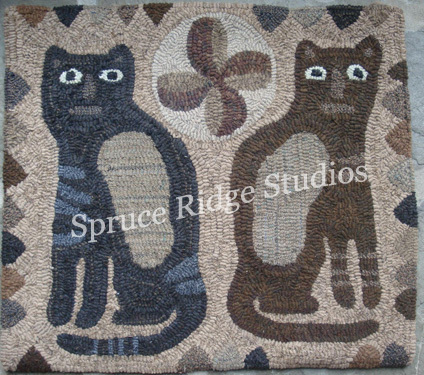 I find Sonja's designs a perfect match for rug hooking patterns and I'm so proud to offer them to you! Stay tuned! In the coming months, there will be more new patterns from Hickety Pickety, as well as new Notforgotten Farm designs. If you haven't checked out the Spruce Ridge website recently, you may want to go visit again. There are a couple new foot stool patterns from Cindi Gay and two antique adaptations from me. 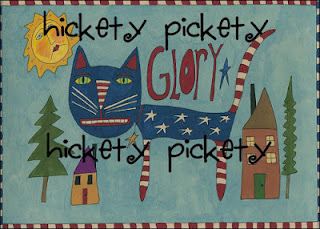 Hex & Frex, a Notforgotten Farms adaptation, hooked by Rhonda Thomas of My Glory Stars. What a wonderful example of a neutral rug! It looks so soft and warm...just makes you want to say "aahhhhh". I recognize most of the wools that Rhonda used and they are on my list of all-time favorites. A great job, Rhonda! Thanks for sharing!